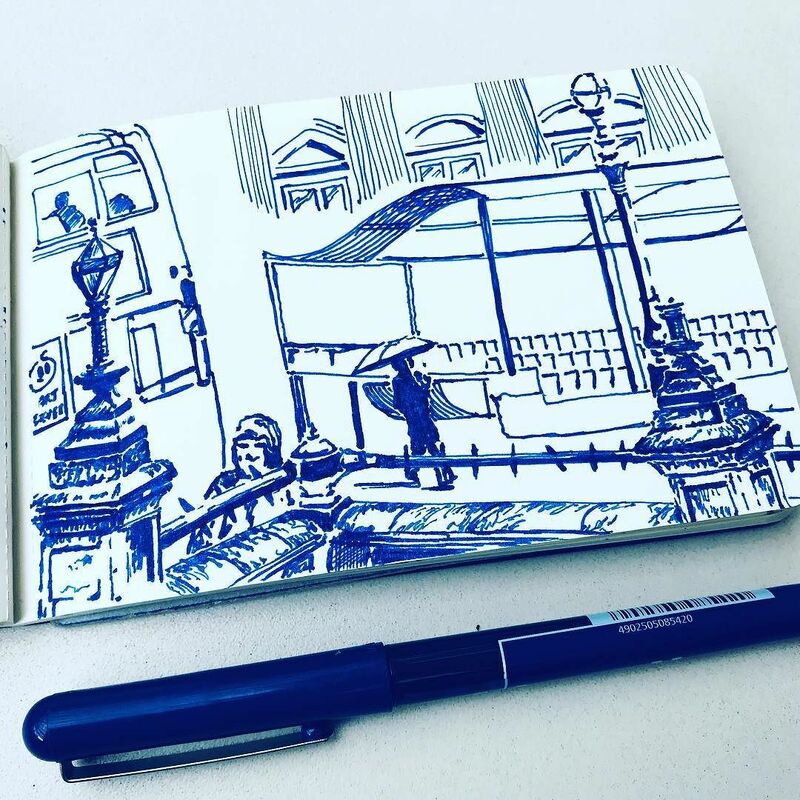 It passes by opposite the Bank of England which is close to where I was sitting to draw this. They’re setting up the road blocks and these stands on the right with the chairs will host the VIPs as the procession passes by. . .
I’ve seen police lifting up drain covers, looking inside of all the electric lights, signs, etc. Security is high, as it’s a widely broadcast event I should imagine that they’re doing all they can to ensure public safety.